So, what's a Jalebi??? When Shireen (a good old friend who I have gotten closer to the past few months thanks to facebook and blogging) put up this post last night, it got me all nostalgic and pining for this sweet which I love oh so much. I love them so much, there are no words to describe my love for it. And here is the best part, I love the ones made from a particular sweet shop(Taj Mahal)in my home town Mangalore. I have not been able to take the images of this soft succulent sweet from my mind at all. So, in desperation, I pulled out a cookery book to see if it had a recipe in it. It did, but it looked like I need to put in quite some effort and that will take some time. Not only that, there are certain goodies you are so used to buying from sweet shops that you never ever think of preparing them at home. So continuing to ponder over my lost love, thinking of what a heavy price we pay while living abroad, I suddenly remembered of something I had seen during my home trip back in August. While in amchi Mumbai, I got to witness this!!! 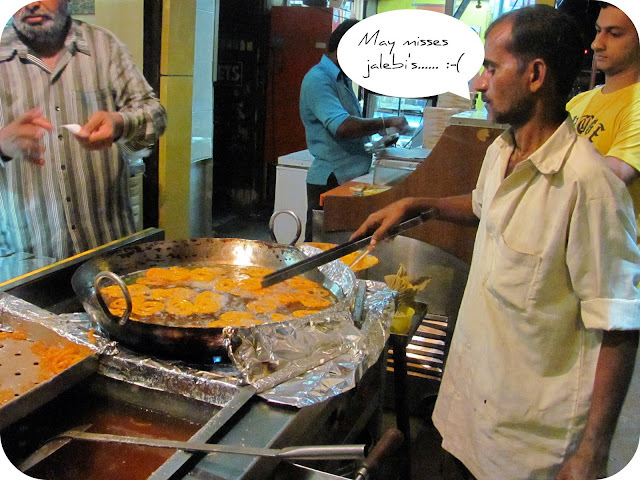 A sweet vendor preparing JALEBIES!!!! 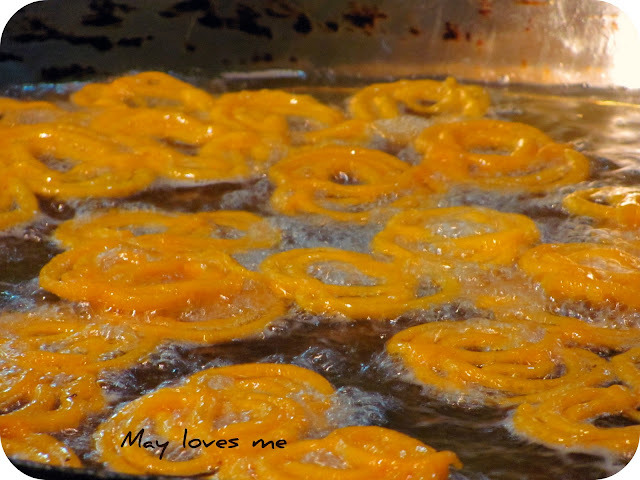 Jalebi's are sweets made from all purpose flour made into a batter with sugar, yeast, yellow color and water. The batter is then poured into a cloth with a hole in it. The jalebi's are formed by gently squeezing out shapes into piping hot oil. Once fried they are immediately transferred into warm sugar syrup and removed. For now, I am satisfied just looking at these pictures. 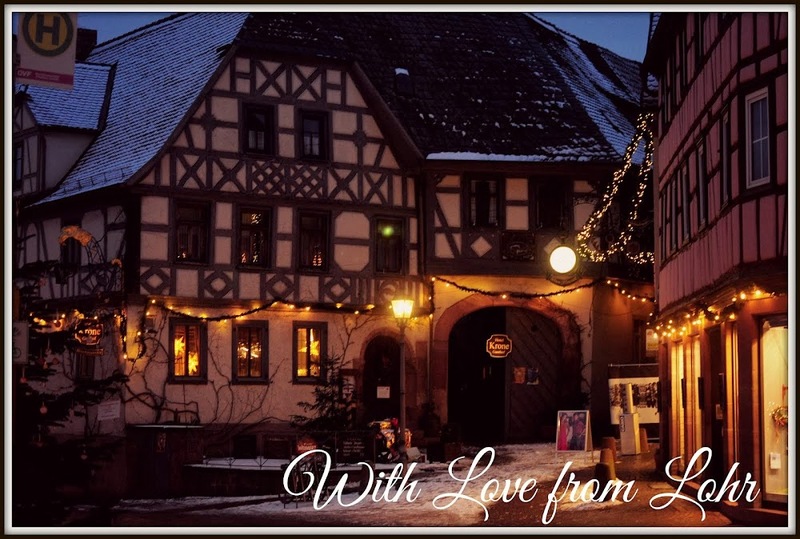 What is it about your home country that you miss?? Beautiful pictures and they look yummy! When we were in Germany I missed Mexican food so much...I still miss it Western NY is all Italian and Hot wings no Mexican food to be found. Those look a lot like something we have here in the States called funnel cakes. They're shaped almost the exact same way, deep fried, then sprinkled with powdered sugar...SO GOOD! These look delicious. One thing I enjoyed in Turkey was a shop full of many flavors of Turkish delight. This sweet is so good that the witch in "The Lion, the Witch and the Wardrobe" used it as a bribe for betrayal. Hot roasted chestnuts and crepes made on the street in Paris are yummy too. I live in California now. I miss the different fruits from the Philippines. I'm hoping to satisfy my cravings for them when we visit next year. Well, i too miss this favourite Falooda Ice Cream that we get in Dehradun at Kumar's Sweet shop. Its the best ice-cream I've ever had...lip smacking is not the apt word, perhaps heaven!!! 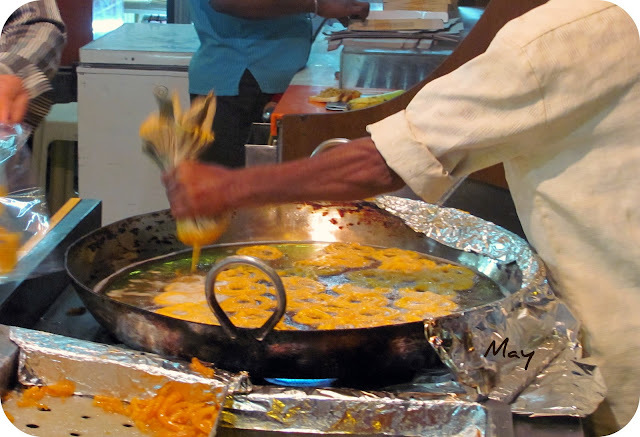 Good part is that am going to Doon next month and no one can stop me from indulging in this heaven to my hearts content....i wish i cld send u some jalebi's though!!! Oh those looks wonderful! 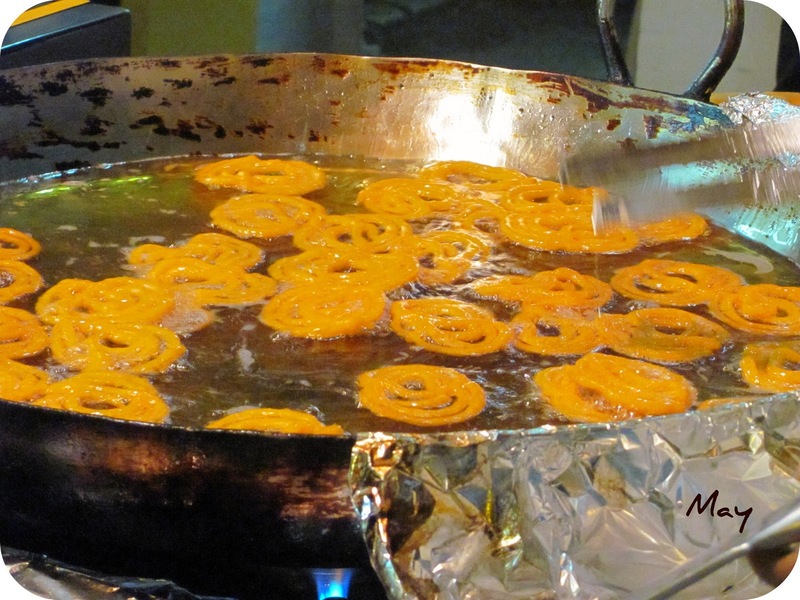 I've never heard of jalebi, but I'm sure I would love them. Nothing is too sweet for me! My favorite sweet from my area (where I still live) is pralines. So yummy! that looks wonderful! can you make it at home? I get to eat all the things I love right here in the United States every day : ) Sadly, i consume too many of the things i love! Great post today May! oh! These photos make me HUNGRY! fantastic! What great photos! They sound (and look) delicious. great pictures--I've never left my home. Sounds Heavenly! There is a Chinese restuarant in our town that serves these rolls (but like sweet rolls) warm and dipped in sugar! They are SOOOO good! This looks to be similar so I bet they ARE delish! These are really neat captures. They look so yummy. Thanks for linking up.